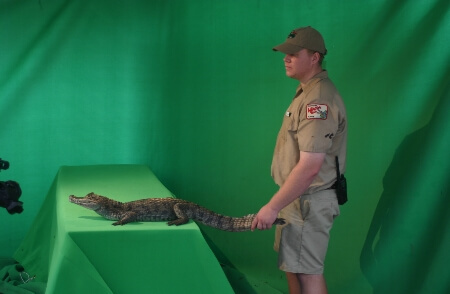 Green screen technology was used by National Geographic Television to make a great video of all 23 species of crocodilians morphing from one species to the next. Since the St. Augustine Alligator Farm Zoological Park is the only place in the world that has every species of crocodilian, we were the only place that could provide National Geographic this unique opportunity. 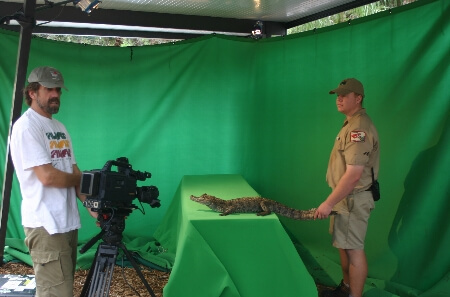 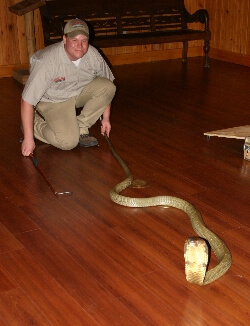 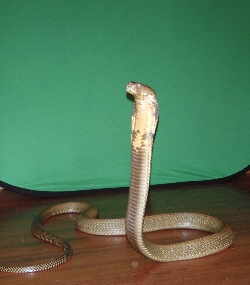 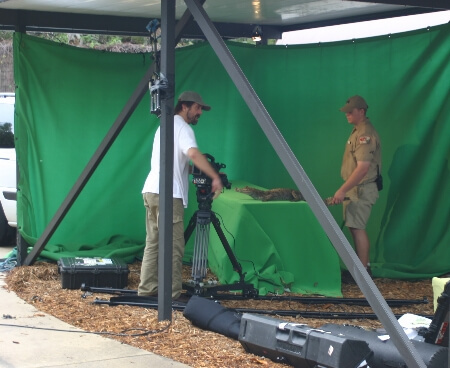 We also used a green screen to film our King Cobra for a television commercial. 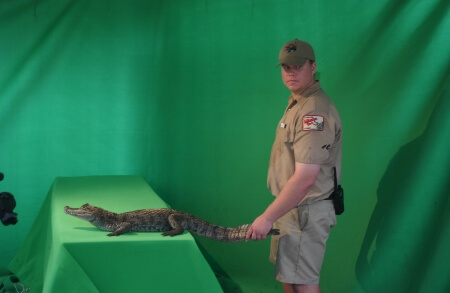 The challenge was getting him in front of the screen.